Synopsis: A hard-working mother inches towards disaster as she divorces her husband and starts a successful restaurant business to support her spoiled daughter. Quotables: IDA: Personally, Veda’s convinced me that alligators have the right idea. They eat their young. This is an incredible movie. Joan Crawford and Ann Blyth perfectly portray a mother and daughter always at odds with each other. 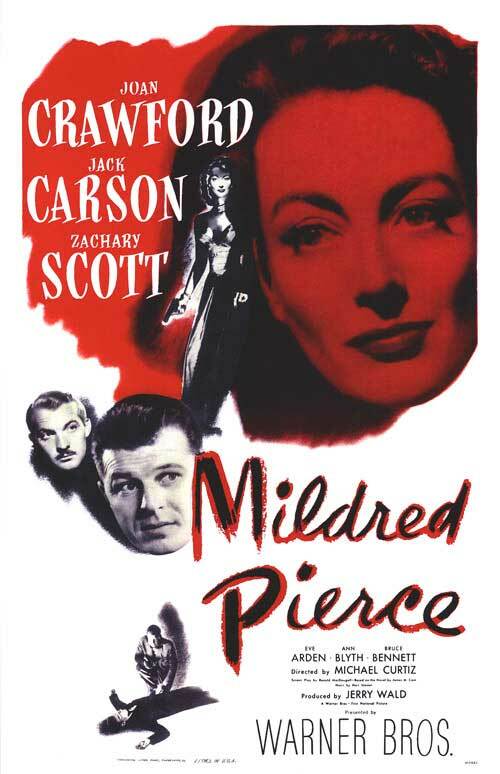 Mildred Pierce (Crawford) wants the very best for her two daughters, Veda (Blyth) and Kay (Jo Ann Marlowe). While Kay idolizes her mother’s work ethic and is grateful for everything she has, her elder daughter Veda is a spoiled princess who wants to lead a lavish life that her parents simply cannot provide for her.